This interview is in response to questions from Cynsations readers in celebration of the ten-year anniversary of www.cynthialeitichsmith.com. I read a novel almost every day. I read a stack of picture books at least once a week. Plus, I read nonfiction, poetry, graphic novels, etc. That's a cumulative influence. More specifically, I can point to Linda Hogan and Joy Harjo on my Native writing, Annette Curtis Klause, Bram Stoker, and Joss Whedon on my Gothic YAs. When I was a kid, I read most of the Newbery winners. Beyond that, memories of kitchen-table talk linger in my memory. How do you get into the mood of writing? Like...do you just sit down and write, or do you have to do something special first? I typically write rough drafts only between midnight and four a.m. I need to world to quiet, fade away, so that I can lose myself in the story. Then I print, read the draft, throw it away, and delete the file. That initial plunge is just about getting to know the character, setting, story. It's less intimidating because no one else will see it. The best parts will come back. As for the rest, I'm not interested in building on a weak foundation. I take what I've learned to inform the drafts that follow. Once the second or third (sometimes I have to repeat the process) "first" draft is down, though, I can work on it any time. I tend to write in soothing rooms—the sun room, the reading room, the sleeping porch. If I get stuck, I dance around in the dark to pop songs of the '70s and '80s. If nothing else, it entertains the cats. Caveat: there's no one right way to write. What is the most difficult thing about the entire writing process, from initial idea to publication? That moment when I'm printing the revised copy to send to my editor and the toner runs out. This always happens. I am a normally happy woman, but right then, I want very much to heave the printer out the window. Or at least the toner cartridge. Beyond that, I'm not one to angst over process. Once the real "first" draft is down, I have full faith that the answers to any challenges in the novel are at least hinted at in the existing draft. A picture book is different, more like a puzzle. With those, I just keep trying. 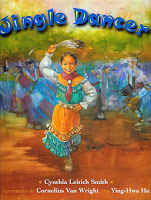 Jingle Dancer (Morrow/HarperCollins, 2000) went through more than 80 drafts. How do you care for your muse? I take extreme field trips. For Tantalize (Candlewick, 2007, 2008), I walked the streets of Austin asking furry people if I could take their pictures as models for shape-shifter characters. Being proudly weird Austinites, they were all quite flattered. I also went to open houses and picked up floor plans and chose where my characters would live (though I re-imagined the exterior facades and relocated the "inspiration" homes out of respect to the real-life residents). I confessed my ulterior motive to the real estate agents, who were quite gracious about the whole thing. For Eternal (Candlewick, 2009), I went to Chicago and walked every street that my characters did and made notes of what it looked like through their eyes. The ink in my pen froze on Navy Pier. I step into my world quite literally. Why did you choose to write YA rather than adult, and what do you think is the main difference between the two these days? I'd previously published books for children (another of which is in production). 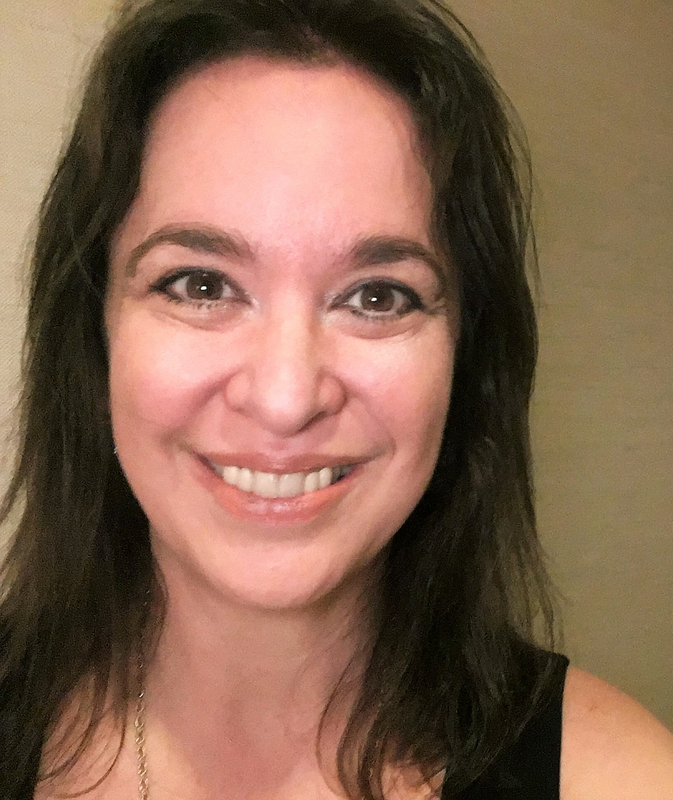 Though the children's and YA markets each have their own focus and personality, the two categories are part of the same "family" of writers, illustrators, publishers, and the folks who connect books to readers. But even if that weren't the case, I would elect to write for and about young adults—partly because they're so dynamic, partly because theirs are the books I love to read, and partly because my inner teen is alive and growling. I value the audience and my colleagues. What else? YA literature tends toward immediacy. It's usually marked by its fine focus, quick pacing, and underlying optimism. It's resonant without always having to take itself seriously. All of that is works for me--a usually thinking, sensitive optimist with a sense of humor and the attention span of a gnat. "The young adult audience is in this wonderful place between childhood when anything was possible and the world was full of mysteries, miracles, and monsters, and adulthood where many of the mysteries have been solved, many of the miracles have a price, and the monsters wear human faces. "They really get the themes in fantastic fiction, even if it's only subconsciously because they are close enough to look behind them and see the magic or look ahead and see the reality. Most adults lack that amazing perspective." What was your most favorite part of writing a novel with vampires and werewolves? If only because she may devour me otherwise, I feel obligated to point out that Tantalize also features a werecat as well as a handful of shifters inspired by the Texas setting—a wereoppossum, a werearmadillo, and turkey werevultures. Eternal and the tie-in short stories expand the multi-creature verse even more with ghosts, angels, and additional shifters. But absolutely the vamps and Wolves have a particular appeal. They're old-school, classic monsters. They were screen stars in black-and-white movies. They both did "The Monster Mash." You can find them in folklore and other stories from around the world. And they appear--together and separately--in a formidable list of books, recently including Superman and Batman versus Vampires and Werewolves (DC Comics). My story came together when I had the idea of a writing murder mystery in which the central question was whether it was a werewolf or a vampire in wolf form who's the murderer. I stumbled across it while I doing my homework. Stoker's 1897 classic Dracula held the key. I read that you started Tantalize in 2001. What took you so long? Eternal isn't going to take that long, is it? 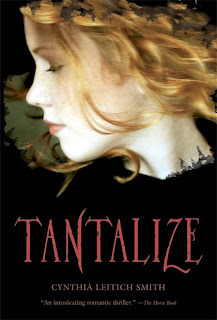 Yes, I started Tantalize after I finished Indian Shoes (HarperCollins, 2002). 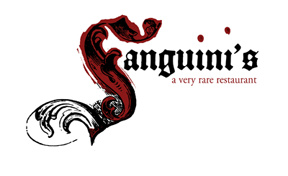 I'd always wanted to write a novel that drew on the vampire mythology as well as a novel set in a restaurant, so that intersection was a place to begin. But between 2001 and when the novel sold in 2005, I had to learn how to write a more mainstream fantasy. I'd done only realistic contemporary fiction up until that time, much of it influenced by Native literary traditions. 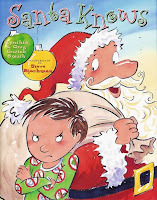 Meanwhile, I also was working on various short stories and a couple of picture book manuscripts—Santa Knows (Dutton, 2006) and Holler Loudly (Dutton, 2010). Each book takes as long as it takes, but you do tend to pick up some transferable skills along the way. Hopefully, I'm getting a little faster. Eternal will be out in February 2009. You refer to your YA work as "Gothic fantasy." What is that exactly? Deborah Noyes in the forward to Gothic: Ten Original Dark Tales (Candlewick, 2004)(author interview) writes: "...think of Gothic as a room within the larger house of horror. Its decor is distinctive. It insists on the burden of the past. It also gleefully turns our ideas of good and evil on end." Or more personally, my YA Gothics are horror novels involving monsters, some of whom are human beings. The books may include comedic and/or romantic elements, but they're intrinsically horrific. Magic comes at a huge price, and I'm not promising a happy or even hopeful ending. You may get one, but you can't count on it. As a side note, I've written realistic YA fiction, too. Why are there so few American Indian authors? I suspect there are more than you think. If you are interested in supporting Native voices, please consider featuring the Native Youth Lit widget available from JacketFlap. Of course it would be wonderful to have more (and more tribally diverse) representation. But the more pressing need is for teachers, librarians, and booksellers of all backgrounds to champion such voices as well as for Native professionals to excel in the publishing industry across the board. How has publishing changed since you started in the business? Horn Book editor Roger Sutton nailed it when he said in a 2007 interview: "The biggest change has been the rise of the retail market over the school and library." The commercial success of J.K. Rowling's Harry Potter series (Scholastic) can't explain all of that, but it certainly seems like an indicator. Not long afterward, I had good friends—some of them well established mid-listers—whose publishing careers quickly evolved or slipped away. On the upside, we now have an extraordinary number of new voices, some of them very young. In contrast, when I first began working with my Harper editor in my late twenties/early thirties, I only knew of a couple of authors near my age. The vast majority were at least 15 years older. It's good and bad. We have fresh energy, and reading itself has a higher, more positive profile. But many quiet books, multicultural books, historicals—the kind of books that need time to build an audience...those without a shiny new name or publisher push…those that have traditionally relied on word of mouth... Books like that face additional challenges. Beyond that, the idea of "branding" was largely foreign (at least to me and several colleagues I've spoken with on the topic). I understand that readers who love an author's work often want more of the same. But I obviously wasn't writing Jingle Dancer (Morrow, 2000) with the idea that it would set up my audience for Tantalize (Candlewick, 2007, 2008), and I would've considered such a dynamic a creative straight jacket. At the time, it was widely held that most authors would seek to stretch our craft with different kinds of stories, and, as a pleasant side effect, that would offer us more room to maneuver in the market. Finally, we're now seeing authors from historically underrepresented racial/ethnic communities in the body of literature writing about whatever we please. The fact that someone is, say, African-American doesn't necessarily mean that, over the course of their career, all or even most of their protagonists will be. In addition, culturally-grounded stories from such voices are increasingly appreciated not only for their teach-ability but also for their literary merit. For example, ten years ago, Christopher Paul Curtis, Linda Sue Park, and Cynthia Kadohata had not (yet) won a Newbery award. How diverse was the list of winners in 1998? Significantly less so than it is today. How has the kidlitoshere changed specifically? The biggest change is that there is one. Back in the day, it wasn't hard to have a Web page listing children's-YA author websites, by which I mean all of them. During my apprenticeship, I was a member one of the first published-author listservs--invited by a mentor--and met my agent that way. What became Cynsations was a monthly text email newsletter. How did you build such a powerful author platform? I never heard the words "author platform" before this year. I was just sharing information and, hopefully, offering encouragement. Early on, my career goal had been to be a journalist. I majored in news/editorial and public relationship at the William Allen White School at The University of Kansas. When my University of Michigan Law School classmates were in the midst of their all-important post 2L summer clerkships, I was working as a reporting intern for The Detroit Legal News and Dallas Morning News. Cynsations and the main website allow me to feed that part of myself while focusing on positive news. When I got started, the situation in publishing was much like it is now--layoffs, buyouts, canceled contracts, low author morale. Sometimes it's good to light a candle. Sometimes it's good to light a bonfire. I've gained more faith in my creative side and built up my analytical one. It helps that I don't limit myself to books that I initially thought of as "my kind of thing." By reading broadly, my tastes and knowledge base have expanded. Teaching has been a blessing because it's forced me to explain what I had been doing largely by instinct. That process of articulation deepens my own understanding of the skill set. That said, I'm very much a work in progress. Which writers' work do you love? I love the writing of many, many, many authors. Two headliners that deserve even more attention are E. Lockhart and Tracie Vaughn Zimmer. What kinds of books do you wish there were more of? Comedies, especially those with diverse casts. Fantasies with diverse casts. Westerns. Stories wherein the faith of the protagonist is central to his or her world view. Stories set in the U. S. central and mountain time zones. Stories rooted in the so-called "working class" AKA "lower middle class," socio-economically speaking. As a reader, what are your "heart" books, the ones you need to return to again and again? On the picture book front, Chance by Dian Curtis Regan, illustrated by Dee Huxley (Philomel, 2003) and The Moon Came Down on Milk Street by Jean Gralley (Henry Holt, 2004)(author-illustrator interview). My novels are The Witch of Blackbird Pond by Elizabeth George Speare (Houghton Mifflin, 1958) and, more recently, Marley's Ghost by David Levithan, illustrated by Brian Selznick (Dial, 2005). What upcoming releases do you look forward to? I've already read and adored So Punk Rock (And Other Ways to Disappoint Your Mother) by Micol Ostow (Flux, 2009) and The Chosen One by Carol Lynch Williams (St. Martin's Press, 2009). Both break new ground in YA literature. Coming up, I look forward to Need by Carrie Jones (Bloomsbury, Dec. 2008) Wondrous Strange by Lesley Livingston (Harper, Dec. 2008), Bones of Faerie by Janni Lee Simner (Random House, Jan. 2009), Fly Girl by Sherri L. Smith (Putnam, Jan. 2009), and Shadowed Summer by Saundra Mitchell (Delacorte, Feb. 2009), among others. On the Austin front, I'm happy to highlight Jessica Lee Anderson's Border Crossing (Milkweed, fall 2009) and Chris Barton's debut picture book, The Day-Glo Brothers: The True Story of Bob and Joe Switzer's Bright Ideas and Brand-New Colors (Charlesbridge, July 2009)--wait until you see the art! In addition, P. J. Hoover's latest installment in The Forgotten Worlds trilogy, The Navel of the World, will be released by Blooming Tree in October. Focus on craft. Take the long view (and a class on public speaking). Contribute to the community. Give yourself some credit. Push through your fear. Resist the temptation to compare. Stay out of flame wars. Forgive each other and yourselves. Celebrate each step, no matter how small. Stay positive but real. Encourage your peers, respect your audience, and honor the champions who connect books to young readers. Write. Read. Enjoy living your dream. And when necessary, step away from the Internet. What advice do you have for writing teachers? Keep in mind that beginning writers are beginning writers. Yes, core talent is a factor, but so is determination, a positive attitude, environment, resources, and practice. Odds are, your student will get better--especially if both of you are doing your jobs. I would extend the same thought to authors/editors who're critiquing for a writers' workshop or conference. It's too easy to glance at either a beginning writer or a manuscript at an early stage and jump to conclusions about the potential of that writer in the whole. Incidentally, one of the most useful things I ever did was read, back-to-back, all of Paula Danziger's books in the order they were published. She was always a great writer, but I could really see how her craft developed over time. Writing for publication puts one at the mercy of many uncontrollable forces. But we can all strive to make our next manuscript better than the one that came before. At the moment, I'm all about Blessed, a prose novel which will crossover the casts of Tantalize and Eternal. I'm also working on the graphic novel adaptation of Tantalize. In addition to Eternal, my immediately forthcoming works are two short stories--"Cat Calls," to appear in Sideshow: Ten Original Tales of Freaks, Illusionists, and Other Matters Odd and Magical, edited by Deborah Noyes (Candlewick, 2009) and "The Wrath of Dawn," co-authored by Greg Leitich Smith, to appear in Geektastic: Stories from the Nerd Herd, edited by Holly Black and Cecil Castellucci (Little Brown, 2009). Is there anything you'd like to tell your website visitors? Thank you to everyone who's visited the site, passed on the URL www.cynthialeitichsmith.com, and shared your thoughts. Thanks for your enthusiasm and for all you do--online and off--for each other and young readers! Happy new year!